The NEW! 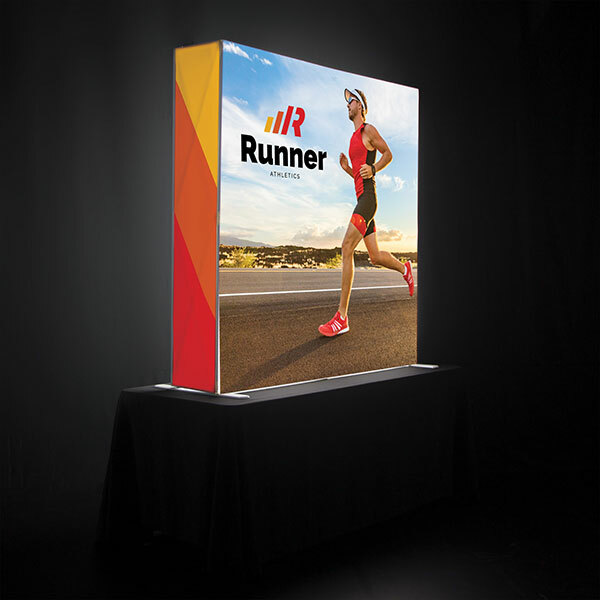 Tabletop Verge Glo Display Kit features LED ladder lights that connect to the bak of the display to illuminate your custom dye-sub printed graphics. Lightweight aluminum frame pops-up easily for assembly and graphics push-fit in place with silicone bead at the back that pushes easily into the channel at the back of the frame. Kit includes: Hardware, 9 Quad lights, Carry Case, 2 Side Panels, 1 Front Panel. 1 Year Graphics/Soft Case Warranty, 2 Year Hardware Warranty, 1 Year Warranty on Lights.